Pain and stiffness in the joints is commonly caused by a condition called osteoarthritis, though there are many conditions that can cause joint pain, including rheumatoid arthritis, and infectious arthritis. Many people think joint arthritis is a normal part of aging, but it is not. Depending on the cause of your joint pain, symptoms can include stiffness that gets progressively worse, swelling in the joints, and tenderness. Once your doctor has determined the cause, a treatment plan can be established to help reduce and manage pain. 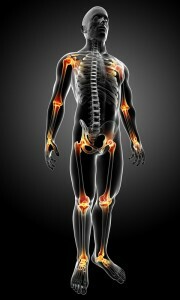 Osteoarthritis occurs when the layer of cartilage that protects your joints is worn down over time. Rheumatoid arthritis is an autoimmune disorder in which the immune system attacks the joints causing degeneration. Infectious arthritis is a condition in which bacteria, fungi, or a virus gets into the blood and infect the joints and destroy cartilage. It can be acute or chronic. What Treatment Plans Help With Joint Arthritis? The most common form of joint arthritis, osteoarthritis, is typically treated with over-the-counter medications, such as acetaminophen (Tylenol) to reduce pain or NSAIDs (aspirin, ibuprofen), which reduce both pain and swelling. In some cases stronger prescription NSAIDs can be given, as well as narcotic drugs like codeine. Other therapies can include strength exercises with a physical therapist, lifestyle changes with an occupational therapist, the use of braces to support the affected joints, and cortisone shots from a pain management physician. In more severe cases, joint replacement surgery may be necessary. Many people with rheumatoid arthritis may receive steroid injections but most commonly drugs called disease-modifying anti-rheumatic drugs will be prescribed. In more aggressive cases, drugs known as biologic agents are given. 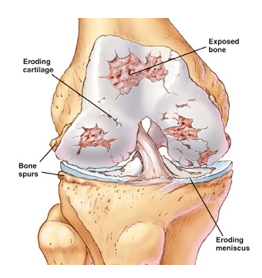 What is the Prognosis of Joint Arthritis? For most patients with osteoarthritis, activity avoidance and the above treatments can help avoid the need for surgery. This has been exciting, as the injections offer over an 80% good to excellent result which can last for months at a time. The topical medications have been amazing as well. For those patients suffering from arthritis, whether it’s rheumatoid, osteoarthritis or post-traumatic, the top pain management clinic in Seattle can help you. Call Seattle Pain Relief today! American College of Rheumatology N.p., n.d. Web. 23 Sept. 2014. “Infectious Arthritis.” : Bone and Joint Infections: Merck Manual Home Edition. N.p., n.d. Web. 25 Sept. 2014.